As if the world’s Full House fan(s) weren’t already scouring the internet for every item of gossip on who will or won’t return for Netflix’s Fuller House, Lifetime has officially withheld its mercy on us. 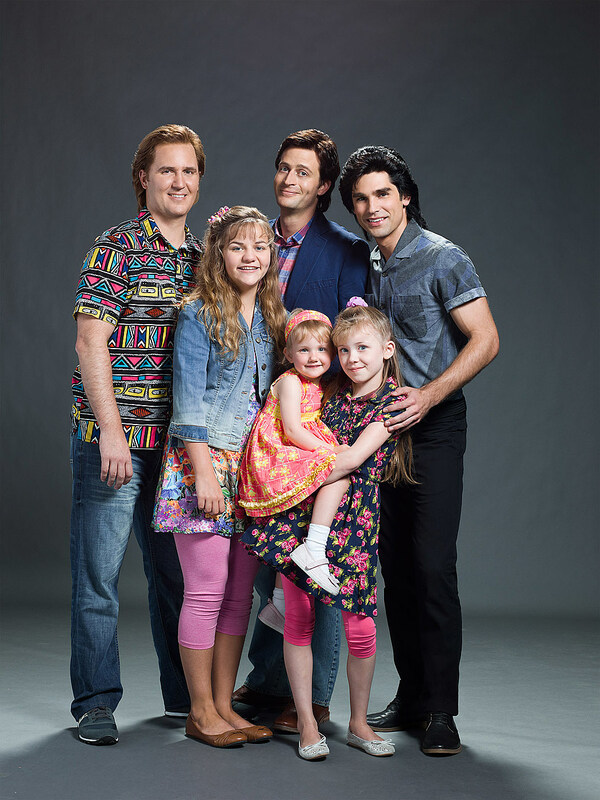 Behold, the cast of the upcoming Unauthorized ‘Full House’ Story, and nary a felt woodchuck among them. Premiering on August 22 and telling a behind-the-scenes account of the ABC sitcom from 1987 to 1995 (just like the “unauthorized” Saved by the Bell flick), the Full House take features Garrett Brawith as Bob Saget, Justin Mader as Dave Coulier, Justin Gaston as John Stamos and Stephanie Bennett as Lori Loughlin. Things get a bit more complicated with the kids, as Candace Cameron will be played younger and older by Shelby Armstrong and Brittney Wilson, Jodie Sweetin by Dakota Guppy and Jordyn Olson, and Andrea Barber by Aislyn Watson and Jaime Schneider. Blaise and Kinslea Todd will play the toddler Olsen twins, followed by Calla and Tyla Jones at age six, and Kyle and Jordan Armstrong at age nine. Assuming you’re still here after all that, you can check out the cast photo below, and ask yourself a very real question about Lifetime’s The Unauthorized ‘Full House’ Story.